Jack Thomas, mayor-elect, makes rounds in Washington, D.C.
Park City Mayor-elect Jack Thomas accompanied a City Hall delegation to Washington, D.C., this week for his first meetings since Election Day with members of Utah’s congressional delegation. Thomas spent time with Sen. Orrin Hatch, Sen. Mike Lee and Congressman Rob Bishop, all Republicans. 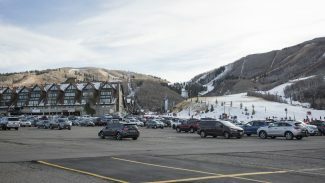 Park City sits within Bishop’s congressional district. The City Hall delegation also met with staffers of the three. The Park City delegation was in Washington on Monday, Tuesday and Wednesday. "They were very gracious. They gave us a significant amount of time," Thomas said, adding, "We did not have any asks. We weren’t asking them for anything." Thomas said the rapport was "excellent" between the Park City delegation and the three members of Congress. He said they were interested in his background as a native Utahn. Thomas said the group covered topics like immigration with Hatch. "Hatch seems to be very engaging, direct questions and comments," Thomas said. "Can I work with him? I think so. I feel like he can put politics aside." The mayor’s office in Park City is a nonpartisan position. 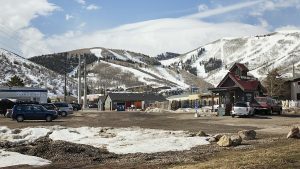 Park City has long been one of the state’s most reliably Democratic outposts. Thomas has appeared to be a political moderate. Thomas said Lee represents a more conservative wing of the Republican Party. He said the talks with the state’s junior senator involved Mayor Dana Williams more than himself. Thomas said he anticipates a solid relationship with Bishop and his staffers and said the relationship with Lee will be a new one. Thomas joined Williams, City Manager Diane Foster and Assistant City Manager Matt Dias on the trip. Over his three terms, Williams has forged relationships with the Utah delegation, tactfully working with the Republicans even as he is seen as leaning to the political left. City Hall monitors a diverse list of federal issues, ranging from immigration to drinking water standards. The municipal government over the years has engaged federal officials on issues like environmental cleanups, transportation funding and public lands. In comments during a Park City Council meeting on Thursday, Williams described the trip as a mayoral farewell tour. 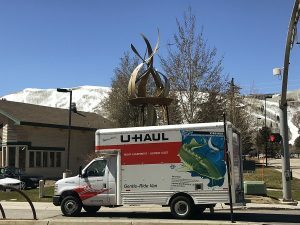 He said City Hall during his tenure in the mayor’s office enjoyed a strong relationship with Washington as he commended former City Manager Tom Bakaly for his efforts while the top staffer in Park City. Williams said during the meeting the two senators were invited to Park City to speak about immigration. Hatch appeared more amenable to the idea than Lee did, Williams said. The flights and the hotel rooms cost $3,553 for the whole group. The trip came shortly after City Hall released the results of a wide-ranging survey of Parkites that included a question about services provided by the federal government. Fifty-seven percent of the respondents said the services are fair or poor compared to the 43 percent who said they are excellent or good. City Hall itself fared far better in the survey, which showed 80 percent rated the services provided by the municipal government as being excellent or good while 20 percent said the services were fair or poor.